Template engine – Why it’s better to use two of them at once? In the following post I’ll try to show and explain how and why I am using two template engines in every application I’m working on. Also, why and how I am choosing my template engine(s) I’m working with. This entry was posted in Development, Web Development and tagged Go, Python, Tenjin on August 2, 2014 by Etay Cohen-Solal. You have to install Groovy (which require JDK). If you don’t have Groovy (And JDK) installed follow those instructions. The folder we’ll install Grails is: /usr/grails, but you can choose any other as you like. Here we’ll put the grails files by version. If you want to be updated with latest patches (and bugs) you can clone the git repo. Prerequisities: you should have JDK installed, your JAVA_HOME set and GIT installed (yum install git). If you want to install older branch read here. That’s It! you have centos grails installed. This entry was posted in Centos, Development, Linux/Unix, Web Development and tagged CentOS, CentOS 6.x, grails, Groovy, JVM on April 18, 2014 by Etay Cohen-Solal. CentOS Tomcat server installation is easy! “Apache Tomcat is an open source software implementation of the Java Servlet and JavaServer Pages technologies. The Java Servlet and JavaServer Pages specifications are developed under the Java Community Process.” from Tomcat homepage. if bash returns ‘command not found‘ then continue to the next step and install the JDK, else skip the step and continue to Tomcat server installation. 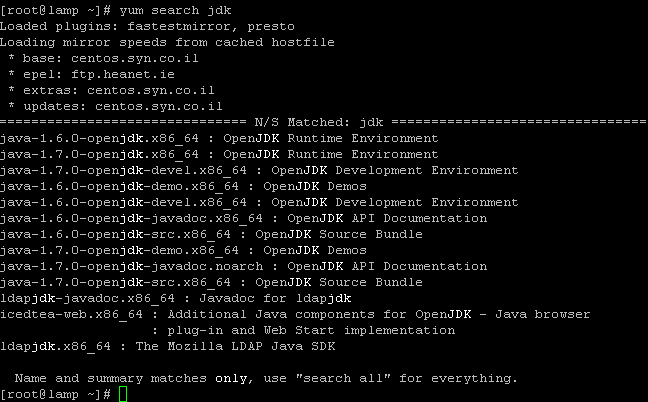 Install OpenJDK – Using YUM. 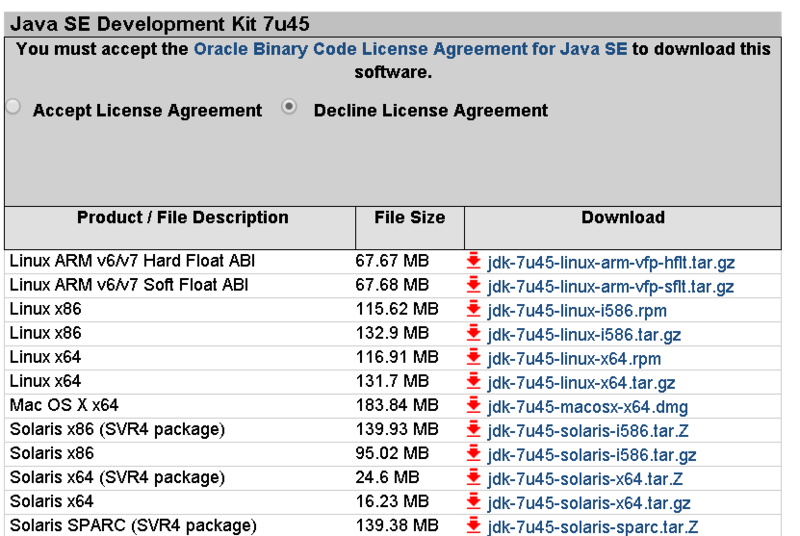 Install Oracle JDK – Install manually. For beginners and testing purposes you should go with this option. Note: use sudo if you are not logged-in with root. Download your required JDK here. Note: I can’t give you an WGET command to download, because you need to Accept License Agreement before downloading any file. In case of our CentOS we can download and install the .rpm file or the .tar.gz file. RPM can be installed ONLY by the root. TAR.GZ can be installed be any user on the computer. If you just want to upgrade a package you’ve already installed use the -Uvh parameter. Delete the .rpm file if you want to save disk space. Just as in the first step: type java -version to see if your have jdk installed. The advantage of tar.gz installation of the JDK is that we can able to install multiple version of java if required. The archive can be installed by anyone (not only root users), in any location that you can write to. However, only the root user can install the JDK into the system location. 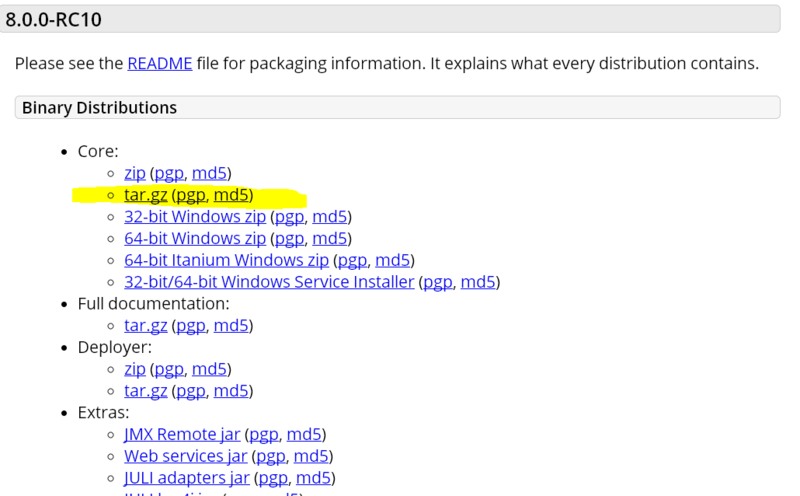 You need to unpack the .tar.gz file (using tar -xzf) into the the location where you would like the JDK to be installed. Delete the .tar.gz file if you want to save disk space. read more about installation of jdk in the oracle documentation. for extended installation tutorial read this post by adam in this blog. read more on What is the difference between jdk 1.6 and 1.7 ? variable (in Unix terminologies), or a PATH variable (in Windows terminology) you need to create to point to where Java is installed. ($JAVA_HOME/bin/java should execute the Java runtime). Why doesn’t the Java SDK installer set JAVA_HOME? To set the JAVA_HOME permanently we need to add the commands to the ~/.bash_profile file of the user. We can also add it /etc/profile and then source it to give to all users. After we have java installed and tested we can continue to the installation of the Tomcat server. Since Apache Tomcat is distributed as binaries, all you have to do is to download it and start it. 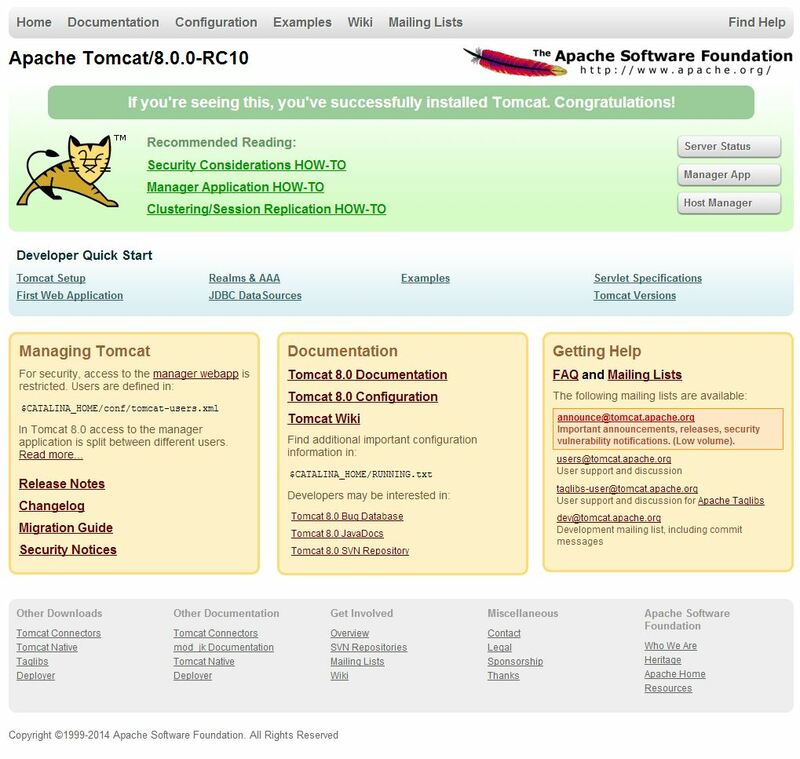 For Apache Tomcat 8 you can directly go here and download your desired version. 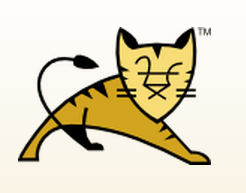 For Apache Tomcat 7 you can directly go here and download your desired version. For Apache Tomcat 6 you can directly go here and download your desired version. I’ll go with the tomcat 8 – tar.gz package. 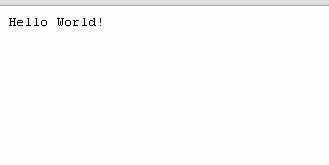 and I have a /usr/share/apache-tomcat-8.0.0-RC10 folder now. Now Access the tomcat by connecting your server with a web browser on port 8080. If you cannot access the above Tomcat page, make sure to stop iptables (since CentOS has iptables on by default set to block the Tomcat’s default listening port 8080). and change the 8080 port to your required port. This entry was posted in Centos, Linux/Unix, Servers, Web Development and tagged Apache Tomcat, CentOS, CentOS 6.x on February 28, 2014 by Etay Cohen-Solal. How to speed up website load time is important question for those that performance matters to them. Nobody Likes a Slow Website! How to speed up website? Website optimization is a required step for production, and when is automated when possible correctly it can help you deliver your website as fastest as possible without compromising on development comfortability and code readability. How to speed up website question could be answered for your case better if you’ll use a website speed test tools. There several good websites load time speed tests available online for free. check out pingdom website speed test, Google PageSpeed tools. this are very good tools which also gives you important and valuable information and tips to speed up your website. You can also check: WebPagetest, GTmetrix or PageScoring Website Speed Test. Some of them rates your website and/or explain what could be done to make your site faster. you can learn also a lot from loading time graphs.collect information from all the above to optimize your website to maximum. If it takes more then 10 seconds for your website to load. you are doing a very bad job optimizing your website (if at all). If your page load time takes several seconds then you’re ok (but you can do better then that!). if your page load time takes up to two seconds then your site is in very good shape! if your page load time takes less then a second then your site is sooooo fast!! and you are doing a excellent job! So, how to speed up your website load time? 1. learn the waterfall. where are your bottom neck ? 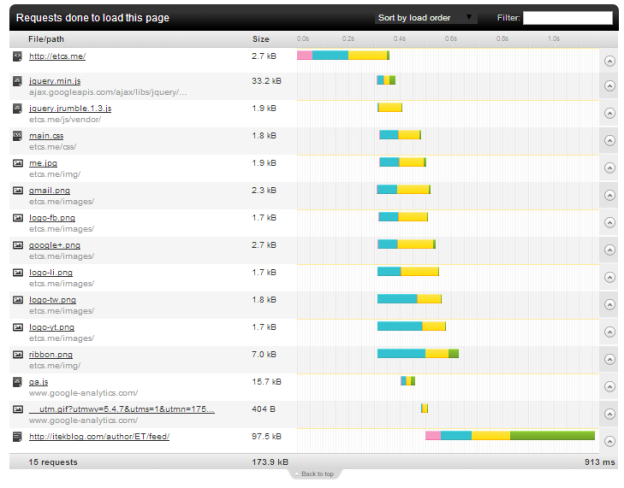 Use the mentioned websites speed test graphs to learn what are the slowest parts of your website and start with them. does the problem is with your webserver or maybe the infrastructure? How to speed up website ? Does your static files load time is the problem? And maybe it is the dns? processing request? loading the images? loading the scripts? maybe you have bad requests? This extreme powerfull tool will help you learn your weaks and strongs. If your website on load check if it’s mobile or not, then it redirect to another page when checks the language and then redirects to another page who check the cookies and then redirect… well you’ve got the idea. Bad design pattern! Set up your server to return Expire and Cache-Control headers with static files. Setup you expire date to be within week or more is a very good timeframe (depend on how frequently you update your website static files you can setup the expire date as required). A Content Delivery Network (CDN) can be an important tool in achieving decent page load and web application speeds. Providers such as Akamai, EdgeCast, Amazon (CloudFront), Rackspace (CloudFiles), Google (PageSpeed) and Microsoft (Azure CDN) are providing the means to distribute your content to locations geographically closer to your customers/users, which improves the responsiveness of the application or website. Although using a CDN can help with page load speeds, a CDN is not always the best solution in terms of Cost–benefit. when configuring a cache server before your website server, and no matter if it’s apache, tomcat, gunicorn or any other html generator you can boost up clients page load dramatically. caching the compiled html pages is very important speed tweak. if you have any static and/or low-rate updated pages with no problem if some users will not see the lastest updates of the html when it changes (until cache reloads).. check varnish-cache or squid-cache or nginx (with HttpProxy module) or Apache with mod_proxy. You should think of your webapp as in several seperate layers. where one layer could answering html requests and other serving your static files. always try to find the suitable tool for this mission in terms of speed (and taste). consider serving your static files (those not on CDN) using the fastest web server for static files you can find. A very important stage is to minify data. Minify CSS files for production! there are many simple gui or command tools to do that..
if you are using LESS, SASS or other, Never compile on client side! compiler only on server side and setup your compiler to minify results. Minify your JS files. if possible, insert them as scripts into the html, or better, minify and join them inside when processing the html (But don’t forget to use Cache server!). If you’re using Coffee-script and template engine it should be easier as you can compile the ,coffee file to minified version and include it within your template. Minify HTML. 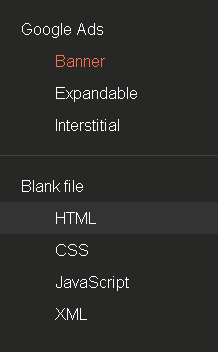 if you have static html files use command or gui tool. if you have more advanced server like python or ruby – minify them before sumbit. If your template engine support preprocessors. use them to minify HTML (and everything other you can). if not – use a library (if possible). Configure you webserver (nginx, apache,etc) to GZip response. Set the Vary header (Vary: Accept-Encoding header) correctly for Internet Explorer. If you have data you can cache in memory for your application server – DO IT. Use Redis, memcached or any other tool you find is suitable. It can be small data (like the number of your followers you’ve just counted from facebook, twitter and youtube JSON calls) or the Entire processed HTML. Put expire time for each resource on your store as needed. ‘ How to speed up website ‘ tutorial ends here. Using those steps I’ve managed to reduced my website load time from several seconds to only 1-2 seconds (and sometimes less then second). It’s was worth the effort!! This entry was posted in Development, Java-Script, Servers, Web Development and tagged Apache, Apache Tomcat, CDN, CSS, HTML, Java-Script, LESS, Nginx, SASS, Squid, varnish on February 21, 2014 by Etay Cohen-Solal. 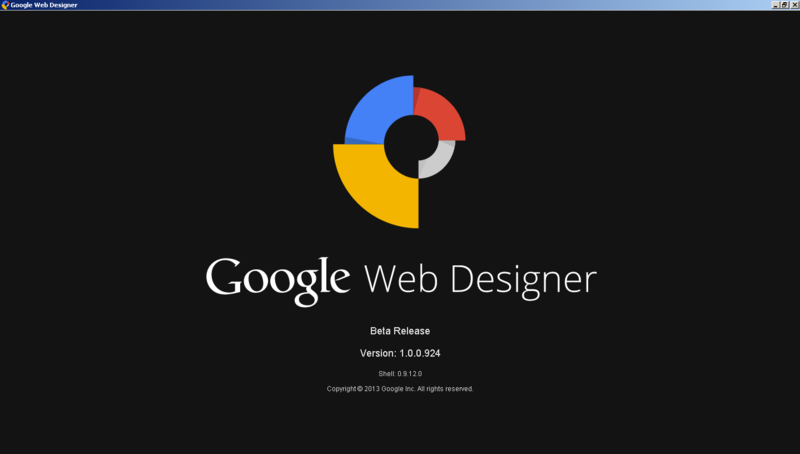 Google Web Designer review – It’s the future? I’ve met today with the new Google Web Designer Beta – the new tool Google released for building adaptive, universally usable rich HTML based designes including ads. The main purpose appears to be to provide a way to produce Adobe Flash-style animated in HTML5/CSS3 without using Flash. Google Web Designer is available as a free (as in beer) download for Windows PC and Mac OS X, so at this stage, it won’t run on Linux, or Chromebooks. The UI is slick, and yet powerfull. You have great tools to work with creating your HTML file. 3D Object tools: You can move/rotate any object in 3D mode. Tag tool: Create blocks (DIV) of objects. Pen tool: You can draw vectors. Just like Flash or Illustrator. Google Web Designer helps you create a responsive HTML. everything you create is accessible on any screen – desktop, tablet or mobile – without compatibility issues. If you’re feeling more hands-on, all the code behind your designs is hand-editable. In Quick mode, build your animations scene by scene and google web designer take care of the frames in between. 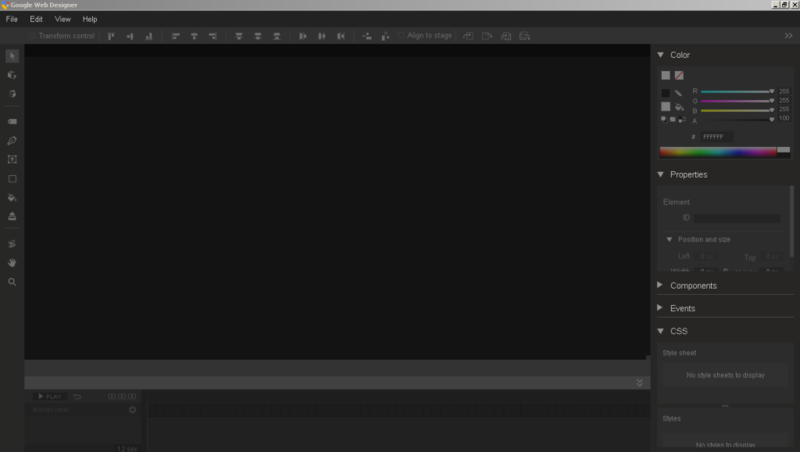 In Advanced mode, animate individual elements using layers, easily changing the location of elements within the stack. Create and manipulate 3D content utilizing an array of tools and the power of CSS3. Rotate objects and even 2D designs along any axis, visualizing 3D transformations and translations as you author. Although other Hacker News users reckon the code that GWD generates compares unfavorably to Microsoft FrontPage 2000. I found the code to be somehow fine, if inspected and modified manually. This tool is great for creating HTML parts (widgets) that are cross browser responsible (like ads, menu, carousel, etc.). I still gonna play with Google Web Designer for sometime, but I must admit I was never the ‘HTML generator’ guy.. I don’t think that tools like that will take the job for the great HTML/CSS designers out there… How write their code using decent IDE. It’s worth noting that projects like Adobe Muse/Dreamweaver, Reflow and others include most of Web Designer’s features, too. But by making Web Designer available for free, Google is putting quite a bit of pressure on the competitors. That’s it. What do you think about Google Web Designer? This entry was posted in Development, Java-Script, Reviews, Web Development, Windows™ and tagged Google, HTML, HTML5, OS X, Web, Windows on October 1, 2013 by Etay Cohen-Solal. Django CentOS 6.4 installation instructions for noobs. So you want to build your first django centos 6.4 based web site? This is quite easy to install and configure. I’ll cover how to install Python/Django on your centos. “Python is a general-purpose, high-level programming language whose design philosophy emphasizes code readability. Its syntax is said to be clear and expressive.” from Wikipedia. 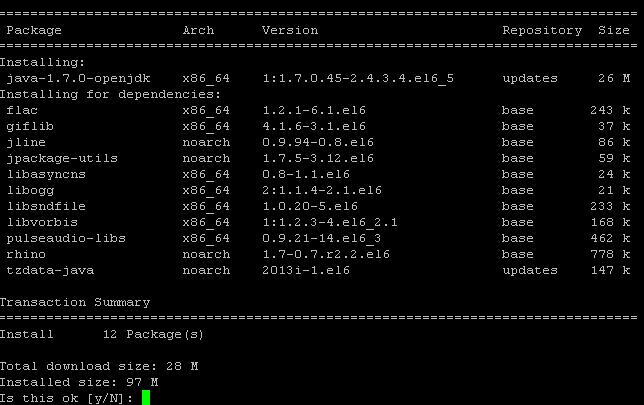 you may need the EPEL repositories for Centos. If you don’t need SQL and you installed Python 2.5 or later, you can skip this step for now. Note: if you are installing Django using EPEL repos, the command will be django-admin and not django-admin.py. You’ve started the Django development server, a lightweight Web server – easier to startwithout having to deal with configuring a production server — such as Apache — until you’re ready for production. Browse to http://127.0.0.1:8000/ with your Web browser. You’ll see a “Welcome to Django” page. It worked! Remember: Apache loads Django environment when starting and keep running it even when source is changed! I suggest you to use Django ‘runserver’ (which automatically restarts on source code changes) in development sessions, unless you need some Apache-specific features. Edit mysite/settings.py. It’s a normal Python module with module-level variables representing Django settings. To run your Django application inside apache – use either mod_python or mod_wsgi, Support for mod_python will be deprecated in a future release of Django. If you are configuring a new deployment, you are strongly encouraged to consider using mod_wsgi or any of the other supported backends. For this to work, you must have apache installed and configured. and browse to www.your.server/test.py and you should see the “Hello World!” there. Deploying Django with Apache and mod_wsgi is the recommended way to get Django into production. You’ve Python / Django installed on your Centos 6.4 and a new project template waiting for you to work on. WSGI Reloading Source Code – If you find the server reload is frasturating. * this article is an edited version of an older article. This entry was posted in Centos, Development, Django, Linux/Unix, Python, Servers, Web Development and tagged CentOS, Django, Python on September 30, 2013 by Etay Cohen-Solal. The following PHP GitHub Followers Count script is using the v3.0 GitHub API. I’ll explain how to get your github followers count using PHP. This entry was posted in Development, Web Development and tagged GitHub, PHP on June 24, 2013 by Etay Cohen-Solal. The following PHP Twitter Followers Count script is using the new v1.1 Twitter API. Recently, Twitter have changed their API and v1.0 is obselete. The new API requires OAuth. I’ll explain how to get your twitter followers count using PHP. First, you’ll need to get yourself a twitter dev account, if you haven’t done so yet. Go here and register your app free. Download the TwitterAPIExchange library files created by J7mbo into your application. I recommend the git method as you can git pull later to recieve updated. Insert your OATH and Consumer Access-Token & Access-Token secret the the following code. Also, change the $getfield screen name to yours. I’ve placed the entire twitter-api-php folder inside my project. you can extract the files also, but make sure to require_once() from the correct path. require_once(‘TwitterAPIExchange.php’); if you extracted the files to the same folder as your script. This entry was posted in Development, Web Development and tagged PHP, Twitter on June 24, 2013 by Etay Cohen-Solal. NOTE: This article was rewritten for CentOS 6.4. please read the updated post. So you want your first django centos based web site? This is quite easy to install and configure. I’ll cover how to install Python/Django on your centos. You’ve Python / Django installed on your Centos 6.3 and a new project template waiting for you to work on. This entry was posted in Centos, Development, Django, Linux/Unix, Python, Servers, Web Development and tagged CentOS, Django, Python on May 22, 2013 by Etay Cohen-Solal. Tutorial: Your first WSGI Python web application served on Apache HTTPd. Python based web applications can be served in several ways. You can use the old and good CGI interface, or use the more common used mod_python. FastCGI and SCGI are also an option. but most of those ways supports the WSGI interface which is the recommended way. You can learn more about each way, and the cons and pros of each, and what is wsgi in this great tutorial/article: How to use python in the web. We’ll build a skeleton for a Python based WSGI web application hosted on Apache HTTPd. I’ve choosed WSGI over other methods to promote web application portability across a variety of web servers. Apache HTTPd Service running and working. trim instance is better. You may need to restart your apache using: service httpd restart. Now use your browser to see the ‘Hello World’ response from your first wsgi server. This entry was posted in Centos, Development, Python, Ubuntu, Web Development and tagged CentOS, Python, Ubuntu, Web on March 20, 2013 by Etay Cohen-Solal. Including and customing the facebook Meta inside every page of your website is an important reality in today web. It’s a very easy task to setup, one that must be done quickly as possible. This entry was posted in Web Development and tagged Facebook, HTML, META on March 18, 2013 by Etay Cohen-Solal. Excited today, I’m going to try a new IDE for Windows: CodeLobster PHP Edition 4.5.1. With almost 30 years experience in development, from the age of Commodore & QBasic to today’s VS, Eclipse, NetBeans, Vi, etc…. I’ve used them all to create some code (even NotePad). Sometimes, I am using more then one editor at once! This entry was posted in Development, Reviews, Web Development, Windows™ and tagged CakePHP, CodeIgniter, CodeLobster, Drupal, Facebook, IDE, Joomla!, PHP, Symfony, Wordpress on March 15, 2013 by Etay Cohen-Solal.